How to clean earrings : Discover pro tricks to maintain your jewelry! Statement earrings are always fab. Learning how to clean earrings can ensure that your jewelry will always be shiny and look as new. Earrings are exposed to more grime and dirt than any other piece of jewelry, even more than rings. Furthermore, not cleaning your jewelry is very unsanitary, that is why you should learn how to clean earrings. In this article, you will learn different techniques for cleaning your earrings depending on their style and metals. If you want to find out more about different types of earrings for women, read this guide. Regardless of the type and price of the jewelry, if it is dirty it can cause an infection, especially earrings. Your earhole is very sensitive and grime and dirt can easily get trapped inside. This is even more dangerous if you have just gotten your ears pierced. Medicals recommend removing your earrings every night and cleaning your earhole with a cotton pad and some alcohol. The natural oils, the accumulated creams, dirt, soaps, and shampoos are very hard to remove completely. In addition to this, the design of the earrings can make them more prone to build up impurities and affect the shine. Most of the time you can clearly see the difference between a clean vs. a dirty pair of earrings. You should always clean new earrings, especially the earring posts, even when you try them on at the jewelry store. You can ask the seller or jeweler to help you clean the jewelry. 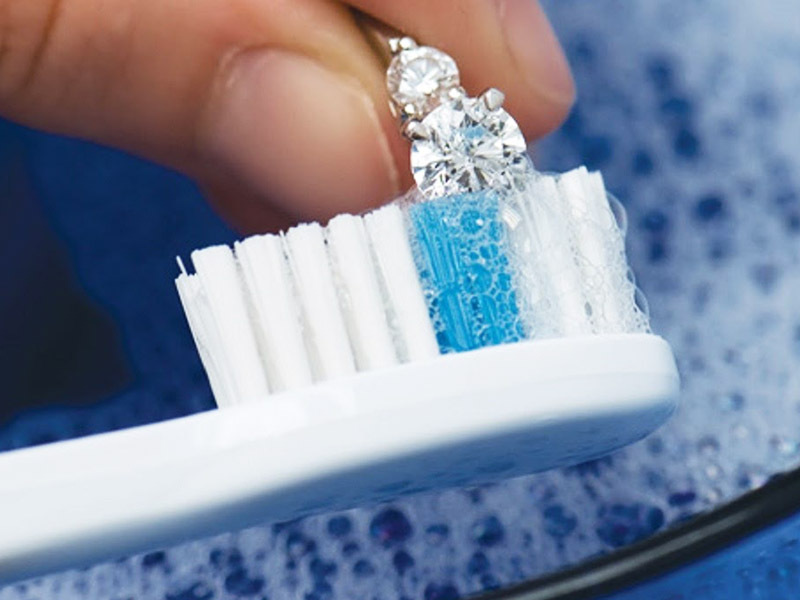 They can clean the jewelry with a special solution that will clean off the bacteria and dirt. You can also clean them yourself with alcohol pads. First of all, you should know that the methods presented in this article work for most types of jewelry, including earrings, but we advise you to consult with your jeweler before trying any methods at home. In addition to this, you should not use the following cleaning techniques on jewelry that have pearls or emeralds. With home cleaning, you can achieve almost the same results you would with professional cleaning. But if you don’t respect the correct indications, you can affect the jewelry piece forever. Consult with a specialist or a jeweler on how you can clear certain stud earrings or drop earrings. If you don’t think you can clean them, you should go to a jewelry cleaner. To find out how to remove tarnish from silver earrings, consult this care guide. The first thing you should do before cleaning a piece of jewelry, including gold hoops or sterling silver earrings, is to wash your hands. Your hands are full of bacteria and if you do not remove this bacteria, cleaning the earrings can become pointless. You can try using anti-bacterial soap to clean your hands and sanitizer, but these two can leave a residue on the earrings which can end up in your ear. The best method of cleaning your hands of bacteria and grease is with alcohol-based gels, which fully sterilize your hands and leave very little residue. 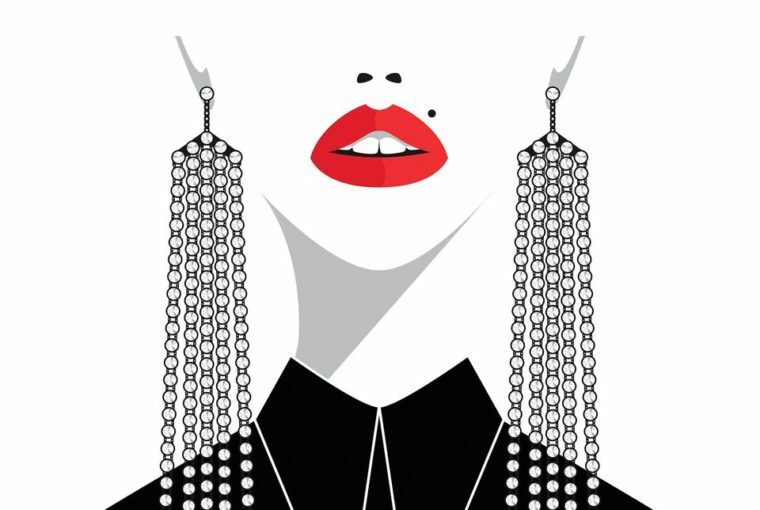 How to clean earrings & what solutions should you use? There are many ready-made cleaning solutions which you can purchase from jewelry stores. Even though these ready-made cleaning solutions are not that expensive, there are also other methods of cleaning your earrings. By far the simplest jewelry cleaning agent you can use is hydrogen peroxide or alcohol. Both of these solutions are excellent disinfectants and the excesses quickly evaporate. This cleaning method can be used for most types of earrings, including stud earrings, drop earrings, hoops. Discover how to clean earrings that are not made of precious metals (or plated) and don’t feature gemstones. For this category, there is another cleaning method which we will explain later on. Step 1. Place the earrings into a plastic container which is halfway-filled with peroxide. Step 2. Keep the earrings completely submerged in the peroxide for around 10-15 minutes. If they are very dirty, you can keep them for a longer period. Step 3. Remove the earrings from the container and using a toothpick or brush you can scour away the remaining debris and dirt. Step 4. Let the earrings rest on a paper towel until they are completely dried. This cleaning method is very efficient, but you should not clean earrings that have gemstones, or they can get ruined. For this type of earrings, you can use the following method. This method is recommended for more expensive rings with silver and gold settings and a gemstone, such as diamonds or sapphires. If you want to discover how to clean earrings that are precious, read further on. Step 1. Fill a bowl with warm water and pour ¼ of a cup of ammonia. Take a microfiber cloth and moisten it in the solution. Step 2. Gently rub your earrings with the damp cloth. Step 3. You can also scrub the gemstone earrings gently with a soft-bristle toothbrush or with a jewelry brush. Focus on each side and don’t forget to clean the small crevices where debris and dirt usually accumulate. Scrub the earrings gently until they recover their shine. Step 4. Rinse the earrings using another damp cloth (only water this time) until you remove all the solution residue. Gemstones can get a cloudy appearance if they are still covered with residue. After cleaning the earrings thoroughly, you can dry them on a soft cloth or a microfiber hand tower. After they are completely dry, you can lightly polish them. Using a polishing cloth can help you restore the beauty of your jewelry. To find out how to remove scratches from gold earrings, read this article. Now you’ve discovered the best methods of how to clean your earrings. Just remember to be very gentle and careful so that you won’t scratch them. If you want to read more about jewelry, check out our other articles on the blog. 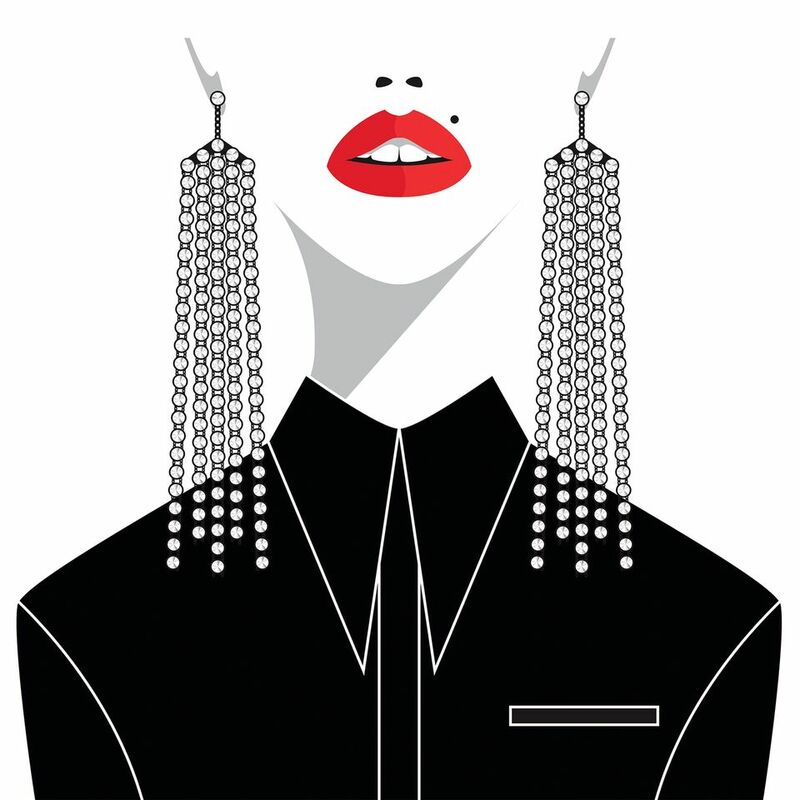 To see our limited-edition designer earrings collections, visit Ana Luisa online shop.